Cranfield University Blogs | After COP21, could a sunshield for the Earth prevent further global warming and climate change? The COP21 climate talks in Paris set challenging targets to try and curb global warming by keeping the global temperature rise to ‘well below’ 2°C. Why does this matter? One of climate scientists’ fears is the potential for Earth’s climate to ‘flip’ into a new much warmer and less hospitable state; temperature rises above 2°C make this much more likely. Possible trigger events include melting of the ice-sheets and thawing of permafrost. If we can keep these regions cool enough then we might avoid major climate change. So, the question is: if technology put us in this position, can it also help us out? 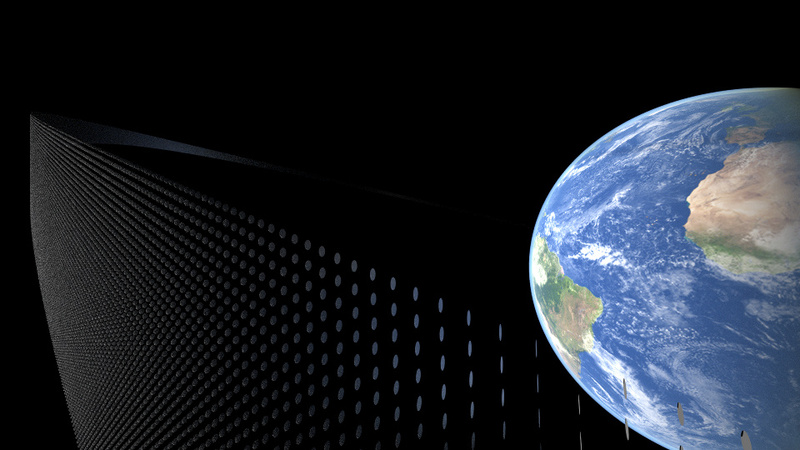 Geo-engineering covers ambitious concepts to engineer planet Earth and control climate change. Sunshields are an obvious way to attempt this – if we block enough of the Sun’s heat, Earth will cool and we carry on with the relatively gentle climate we’re used to. Engineers like challenges, and so one of this year’s group projects for the MSc in Astronautics and Space Engineering has challenged the students to do just that: keep global warming below 2°C, using space engineering. What would this sunshield look like? To counter the blanketing effect of the extra CO2 in the atmosphere, the shield should block around 1% of the Sun’s light: 1.2 million km2 (twice France’s land area). Space is one place we could put it: because of orbital motion and to avoid existing satellites we would actually need 10 x this area – 12 million km2. Using aluminium foil 1 micron thick (only 1/10th the thickness of ordinary kitchen foil) this would need 30 million tonnes of foil. Our large launchers can put about 10 tonnes into orbit, so that’s three million launches, say 200 launches a day for 50 years. We currently have about one large launch every fortnight worldwide. But, we have thousands of aircraft take-offs a day and 10 tonnes is only 100 people with a large suitcase each. A spaceplane like Skylon, or rather a fleet of hundreds of Skylons, might be the answer. And how many satellites do we need? If each satellite has a sail of 1 km2 (over 100 times larger than anything yet in orbit) that is still 12 million satellites – space would be getting busy! In space, engineering comes after economics – and economics comes after politics. So how much will this cost? We pay about $20,000 to launch each kilogram into orbit now; suppose we can reduce this to $ 1,000 per kg. The bill would be $30 trillion just for “postage” of the raw materials, but averaged over 50 years and allowing for some extra costs that’s around $ 1 trillion a year – 1% of global GDP. Written by Dr Steve Hobbs (Senior Lecturer/MSc Course Director); Pau Sanchez (Lecturer in Space Engineering); Jenny Kingston (Course Director for the MSc in Astronautics and Space Engineering); and Professor Dave Cullen (Professor of Bioanalytical Technology) – all from Cranfield University Space Research Centre. Steve has been involved in teaching space engineering subjects at postgraduate level for over 20 years. 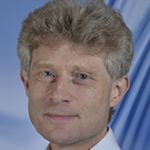 He is part of the Cranfield University Space Research Centre and his expertise includes space system engineering; measurement physics and signal processing; radar and Earth observation applications; and environmental applications - land surface and atmosphere in particular. Steve's academic training is in mathematics and experimental physics (Cambridge University, 1st class), then ecological physics (instrumentation and atmospheric physics; Cranfield Institute of Technology).